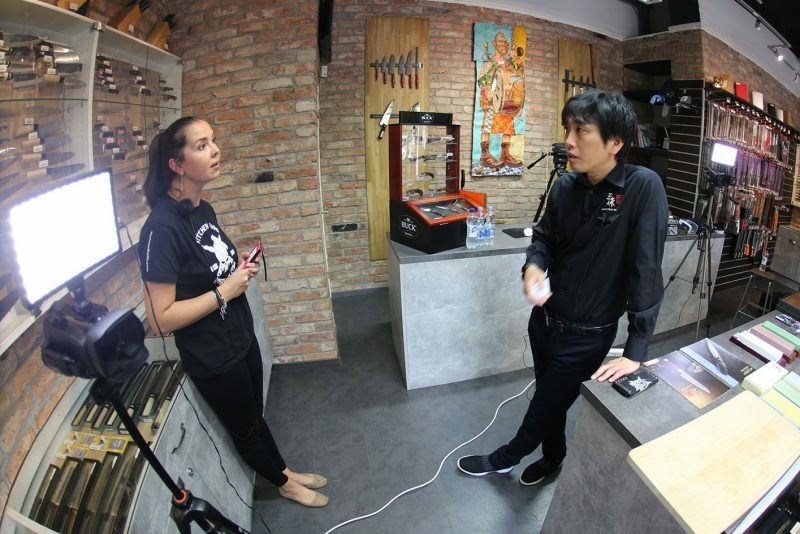 Mr. Tomohiro Hasegawa, President of Marusho Industry Inc. – Mcusta Zanmai Knives – visited MGK store in Helsinki. 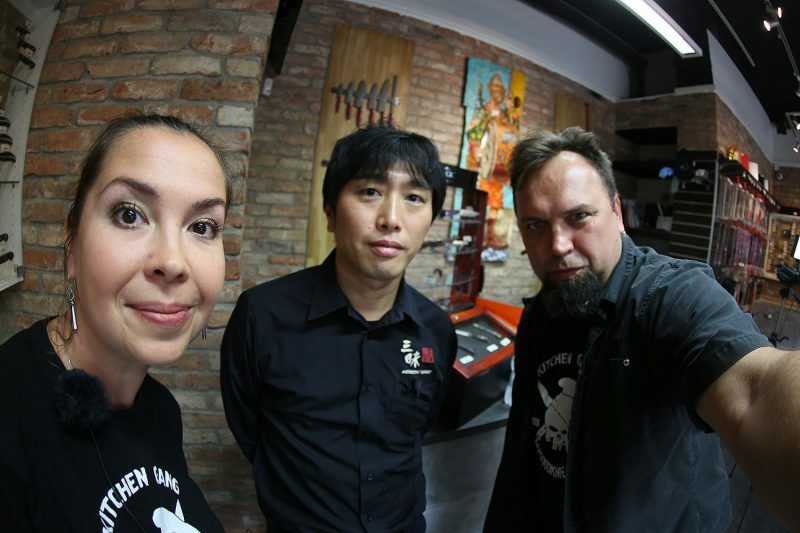 Thank you, Tomo-San and welcome again! Soon will be video at our YouTube channel. 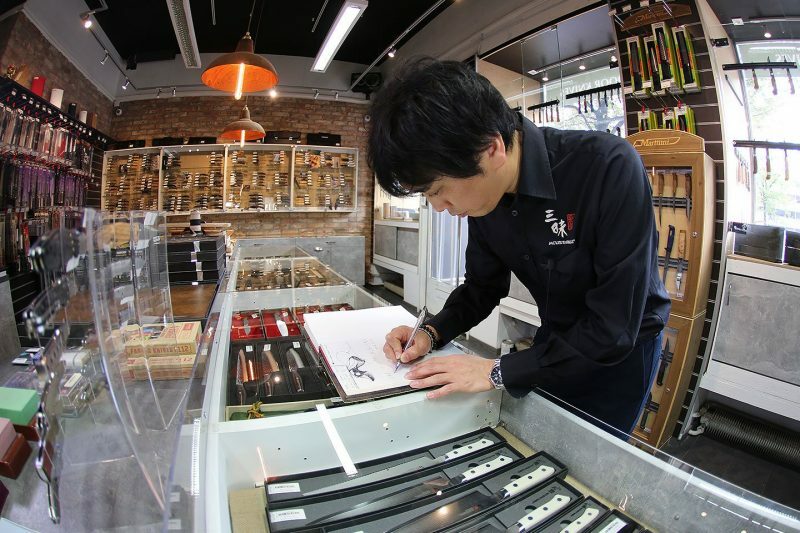 With Tomo-San we discussed, how to sharp Mcusta Zanmai knives, who makes design of their perfect folders, what mean beautiful pins on hadles of Mcusta Zanmai kitchen knives and more interesting things. Mcusta Zanmai Knives are made in Seki-City, Japan and are the pinnacle of this synthesis between traditional Japanese craftsmanship and modern cutting edge technology. Mcusta Zanmai blades are precision laser cut, and then carefully hand assembled, hand finished and inspected by Mcusta’s team of master craftsmen. The name the knife manufacturer – Mcusta – means Machine Custom Knives, which is exactly the product they produce.